After returning from Beaconsfield, there are 2 left turns taking you to the Batman Bridge. Moore's Hill vineyard is on the right just before the 2nd turn off. 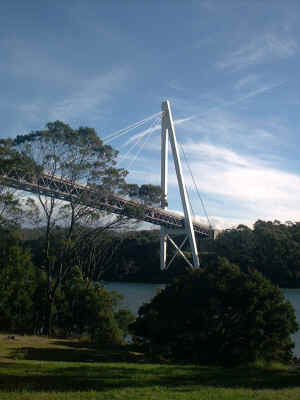 A few more kilometres east from the Batman Bridge is the junction with the East Tamar Highway. Take a left turn and head towards George Town and Low Head. A right turn takes us to Hillwood where there is a strawberry farm. 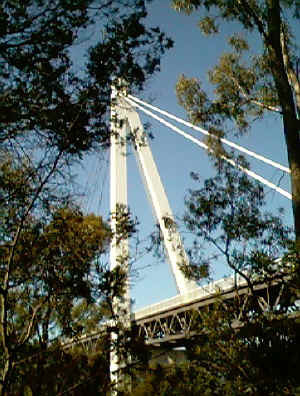 Batman bridge from the picnic grounds on the eastern bank.